By Ricardo Pinzón Díaz, CEO at Sistemas y Asesorías de Colombia S.A. (SYAC S.A.). SYAC has established itself as the most important company in software application development for the public and private health sector in Colombia, providing customers with applications developed with cutting-edge technology tools and allowing them to solve their needs in an agile, efficient and timely manner. Patient care is the core social purpose of our clinics and hospitals. For this reason, it is very important to provide physicians with alternatives that enable them to find and review the information in the shortest time possible, analyze it using the most complete data, and have the right tools for decision-making; thus ensuring patients’ excellent care and an appropriate treatment for their illnesses. One of the most essential elements for health professionals is associated with the management of diagnostic images that facilitate the analysis of a situation to determine an accurate diagnosis. These images are usually stored in cutting-edge technologies called PACS. 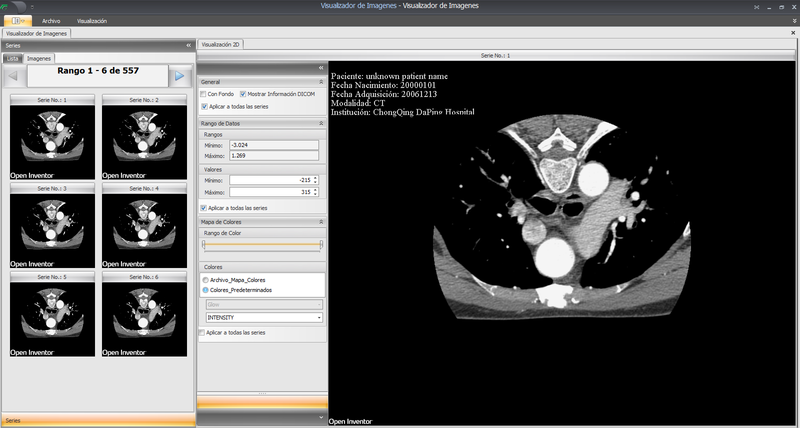 However, PACS operates with specific applications delivered by its own providers, which do not facilitate the integration of information from PACS with the patient's clinical history, forcing doctors to perform additional processes to analyze and incorporate diagnostic images into medical records. To achieve this, SYAC S.A. and our quality research and development team started the task of evaluating the different tools that existed in the international market, and selecting not only the best but also the most flexible and robust technological option that would enable us to achieve our ambitious objectives. After an extensive analysis, we found in Open Inventor, a tool that met all our expectations, and beyond the tool, a professional, experienced and committed team of people that facilitated a very good partnership, which enabled us to develop our project and quickly achieve the expected results. 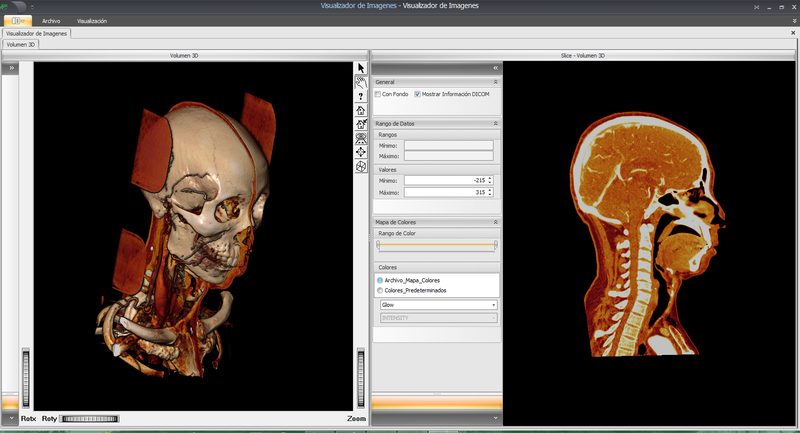 By using Open Inventor in the development of our Dinámica Gerencial Hospitalaria software, we are the only company in Colombia that has accomplished these advances. Furthermore, customers who have tested the new product are finding an additional advantage in the use of our applications towards the benefit of the patient. The year 2016 will be the period when we deliver the developed solution to all of our clients, and in conjunction with other projects, this will empower us to continue to be the company with the greatest technological development in the health sector in Colombia.